How do you follow up on the end of the world? World of Warcraft has had its fair share of ups and downs since launching back in 2004. Just under a decade and a half later, however, and the title’s still chugging along – as strong as it’s ever been, thanks to the breath of fresh air that came with Legion. Braving the oppressive heat of the Firelands (*ahem*, London during heatwave), I caught up with principal level designer Gary Platner and creative development project director – let’s just say “cinematics guy” – Terran Gregory. We spoke on how Blizzard is returning the War to Warcraft; keeping development going in the public eye; and whether there’s any end in sight for the venerable MMORPG. But before any of that, there was a pressing matter of Gnomes to attend to. Terran’s a notorious fan of the tiny tinkerers, so why have they been absent from those glossy, pre-launch cinematics for so long? “Especially within the high-end cinematic pipeline, there are limitations to how many characters can be created – in fact, the siege of Lordaeron was already more characters than had ever been created for a Blizzard CGI film than ever before,” explained Gregory. Legion saw the end of some of the longest-running plot arcs in Warcraft, ending in the absolute melodramatic absurdity of a world-sized god plunging an equally humongous blade straight into the heart of Azeroth. That’s a hard high to scale back from, surely? 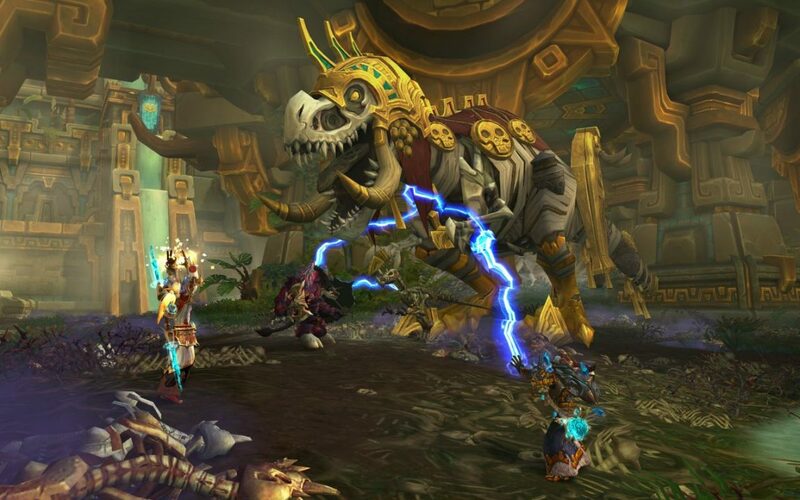 Warcraft has always had this conflict at its core, but it’s one the MMORPG has veered further and further away from over the years. 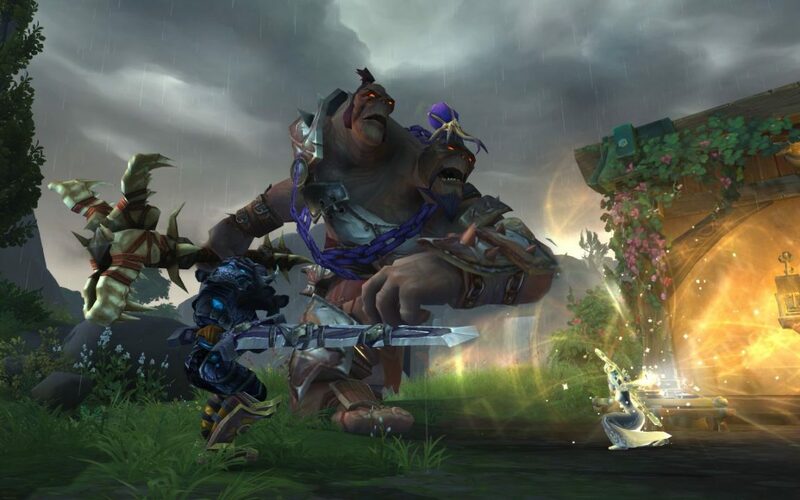 The justification behind punching an orc in the skull has felt a little thin lately – and when moments like Mists of Pandaria brought it back into the spotlight, the game’s been quick to write it off as a rogue element, returning to the status quo. So where do you take a story like that, after both sides collaborated to take down the green devil? And how do you get away from that eternal stalemate without alienating a solid 50 percent of the player base? Some fans have already shown discontent at the way the story’s headed, however. 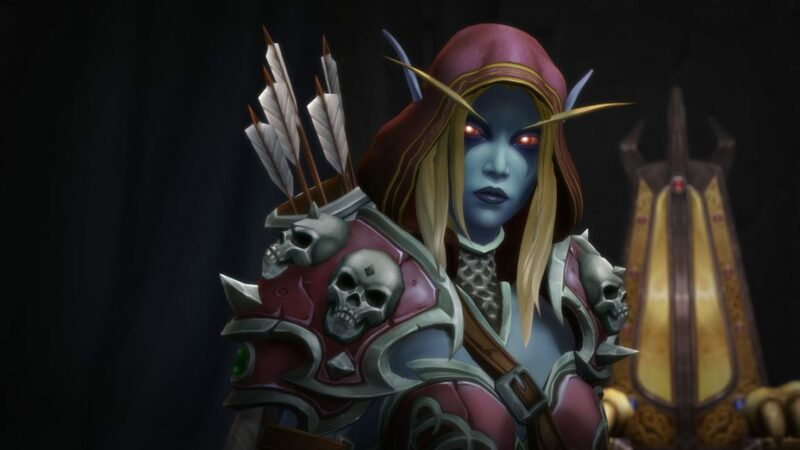 After revealing that the Horde’s resident mean girl Sylvanas Windrunner straight up performed genocide, red players were pissed. Gamers being gamers, a few took that anger and threw it at the team, with one extreme case of targeted harassment aimed at writer Christie Golden. We’re coming up on fifteen years of World of Warcraft – add ten years to that for the franchise as a whole, and you’ve got a hell of a lot of game. For people already well-invested, great – but that’s a lot of stuff for a new player to get through. “It’s our goal to support this game for as long as the players continue to give us support,” chimed in Gregory. Could World of Warcraft ever end? I asked the pair if, despite the intention of keeping work on the game going until they went old and grey, they could envision what an end-point would even look like for the aged MMORPG. World of Warcraft: Battle for Azeroth releases today – check the exact time in your region.